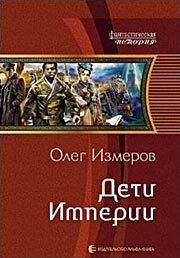 Izmerov, Oleg. Deti Imperii . Alfa-kniga 2012. Summary: A Russian computer specialist is transported into alternative pasts. Series note: Series including three books, Deti Imperii , Zadanie Imperii , and Otvet Imperii . What if: Nazi Germany did not attack the Soviet Union in 1941. Summary: A Russian is transported back to an alternative 1958 in which the world is divided between four great powers, and Hitler's Germany is planning a nuclear war. Series note: First volume of the Imperiya series. Published: Alfa-kniga 2012 (5992213384w88 android). What if: Germany did not grant Lenin's sealed train passage back to Russia. Summary: Set in the 1938 of a world in which Russia is not governed by Bolsheviks, but Huey Long rules in America and Hitler controls Germany. Series note: Second volume of the Imperiya series. What if: Perestroika began under Brezhnev. Summary: In 1998, a dollar crisis approaches as Europe is divided between the western model and the Soviet Union's alternative. Series note: Third volume of the Imperiya series.